One of the rising stars of Australian design, Ben Percy has a passion for designing and making high-quality contemporary furniture. Combining traditional skills with cutting-edge technology, he is also committed to using and promoting sustainable materials. We spoke to him to find out more about his growing business. Ben started his training at the University of Newcastle in New South Wales, Australia, in a state-of-the-art, fully equipped workshop with all you could ever need for working with wood, metal, plastics and anything in between. He graduated with qualifications in teaching and with skills in design, technology and manufacturing on a modern scale. However, Ben then decided to trade his CAD drawings for a pencil and discovered 'real' woodworking at Australia's oldest craft centre, the Sturt School for Wood. Utilising hand tools and techniques that have been used for generations, he developed a great appreciation for what craft truly is. This comprehensive education means that, while wholeheartedly embracing the latest and greatest technology, Ben also maintains the individualism of handmade craft in his work. 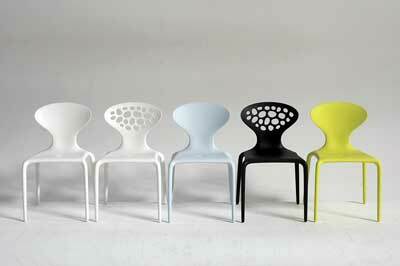 The 'Pod' chair is high on the list of Ben's favourites. 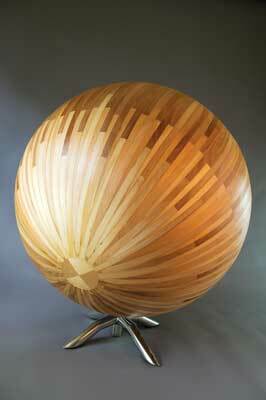 Inspired by the iconic 1960s fibreglass 'Ball Chair' by Eero Aarnio, the 'Pod' is made from 256 pieces of recycled timber. Each piece was individually hand-shaped using a hand plane and spokeshave to ensure they had the required taper and draft angle to successfully form the coopered structure. This painstaking process took two years to complete. The scale of this project demanded a huge emotional and physical investment from Ben, but he feels it was worth the effort: "During the making process I learnt an enormous amount and it has paved the way to where I am today." 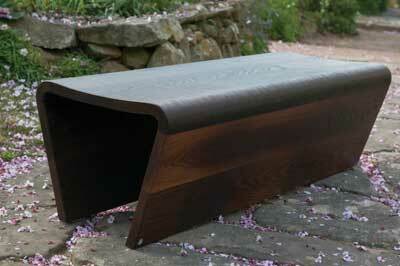 Another favourite piece and one that he loves to sit in is the 'Flex Chaise'. It is great fun to use as the laminated form moves and conforms to where the sitter feels comfortable â€“ perfect for relaxing in after a long day in the workshop! While studying Furniture Design at Sturt School for Wood, Ben was awarded the Australian and Decorative Fine Art Societies Young Artist scholarship for 2012. In 2013, he was a finalist in the Australian Timber Design Awards for both the Furniture & Joinery category and the Rising Star award. Each and every component used is not only beautiful, but also serves a purpose - nothing is hidden. He works mainly in timber, which he considers "our most natural and beautiful resource", carefully selecting sustainable species in order to protect endangered trees and wildlife. "I believe it is up to us as makers to stop the demand for rare timbers and promote sustainable choices." Ben identifies mass-consumerism as a major challenge facing furniture makers, one that can only be fought by producing works that are of far superior quality and beauty compared to mass-produced pieces. "My furniture is made to the highest level of quality craftsmanship, ensuring that it will last for generations to come; the antiques of tomorrow, you could say. I have the freedom as a maker to use sustainable timbers, of which nothing gets wasted. As individuals, we can all make a difference to minimise excessive consumption simply in the way we buy." For Ben, making furniture is more than just a 'nine to five' job as he invests so much energy and vitality into his work. He explains, "It's not a career that you can disengage with when you leave the workshop at night. You are constantly creating, seeking inspiration and learning - it's your passion, your life." 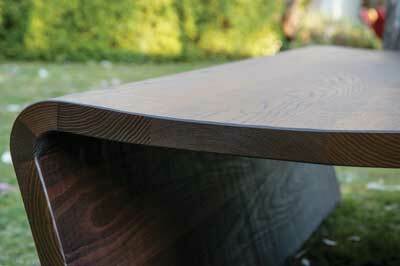 The timber is crucial to the success of the final piece and in many cases will dictate how a piece is actually made. Ben analyses each board to establish what component it should become, where it should be placed and how it can be shaped. Careful selection by examining grain direction, type of cut, tone and features for particular components will emphasise the shape, form and overall beauty of the piece. This is what sets his work apart from high-production furniture, which does not have this 'luxury' of selection. 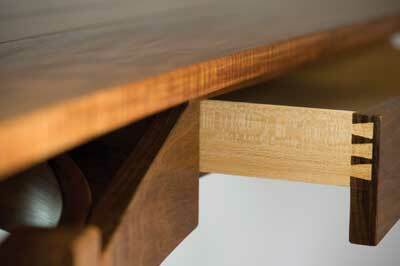 "I strive to showcase the timber I use as a clear example of handmade furniture," he explains. Texture is something that Ben feels is missing from contemporary furniture and he has been experimenting with this in his recent designs. In 2013 he was commissioned by the American Hardwood Export Council (AHEC) to design and make two outdoor benches to be displayed at Sydney Indesign. The surface of these ASH Benches was completely covered in ripples, and it is this kind of textural element that Ben plans to explore further in the future. Ben has taught students at the University of Newcastle's Architecture and Built Environment Workshop - a perfect way for him to give something back to the institution where his training began, as well as promoting furniture design and making to students from all around the world. Ben is currently in New Zealand teaching a tool-making course for hand-cut dovetails at the Centre for Fine Woodworking in Nelson. It is their first summer school and some of the other teachers are Norrio Tanno from Japan and Michael Fortune from Canada. Ben says that it is an absolute privilege to come over to New Zealand and teach and he has plans to try and make this a regular trip each year. "I am currently in discussions with John Shaw, who runs the school, about having me come back sooner to teach a component on CAD drafting and using CNC routers for making jigs, formers and furniture components," he tells us. In terms of other goals for the future, these involve further teaching at the University of Newcastle, designing and entering new furniture into competitions and exhibitions, making a variety of commission items for clients and continuing to get his pieces displayed around the world. Ben comments that his ultimate long-term plan is to start his own furniture design school and teach the art of traditional woodworking combined with the latest and greatest technologies: "I am very interested in creating residency programmes and exchange programmes with furniture design schools and artists from all around the world to share and build on skills that different countries and cultures offer," he explains. 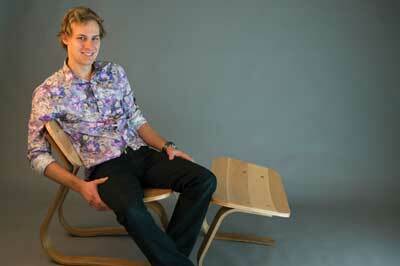 It is great to see young people such as Ben who are furthering the craft of furniture making. We wish him every success for the future and hope that many others follow in his footsteps. 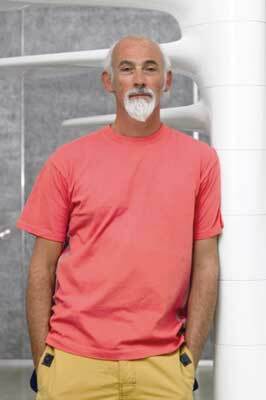 I discovered the prominent British designer Ross Lovegrove while studying Design and Technology at university. His designs are extremely functional and aesthetic, and reflect his deep understanding of the profound influence he derives from Mother Nature. He is a materials-led designer whose work is driven by innovative applications of natural and man-made materials and unique manufacturing processes. 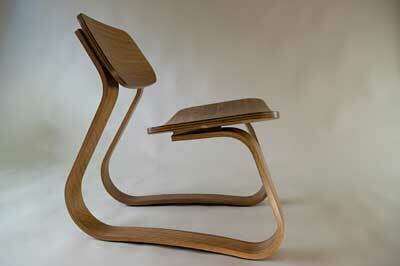 Lovegrove's designs are highly organic and reflect the way nature liberates form by removing anything unnecessary. This principle is something that I am fascinated by and really inspires my work when I'm designing. Lovegrove works with all media throughout the design process. Employing a sketchbook makes him autonomous and allows him to travel freely. He then transforms these ideas and images digitally, using computer technology to express his creativity and view of the world. Lovegrove also uses simple foam architectural models, sophisticated CAD programs and rapid prototyping to visualise and communicate his ideas. In many cases this is how I designed throughout university, but I now like to also include full-scale drawings and mock-ups to develop the form and aesthetic of my pieces. 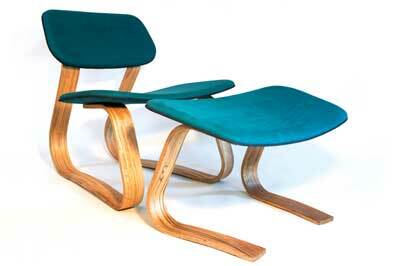 My favourite piece of Lovegrove's work is his 'Supernatural' chair. This was developed using fibreglass-reinforced polypropylene injection-moulding technology and was made by gas moulding. It is certainly a much more technical method of designing a chair than I use, but the holes in the backrest reflect Lovegrove's 'organic essentialism' by eliminating any excess material to leave only what is structurally necessary. I am passionate about exploring Lovegrove's work and seeing how far he can push materials in the future.